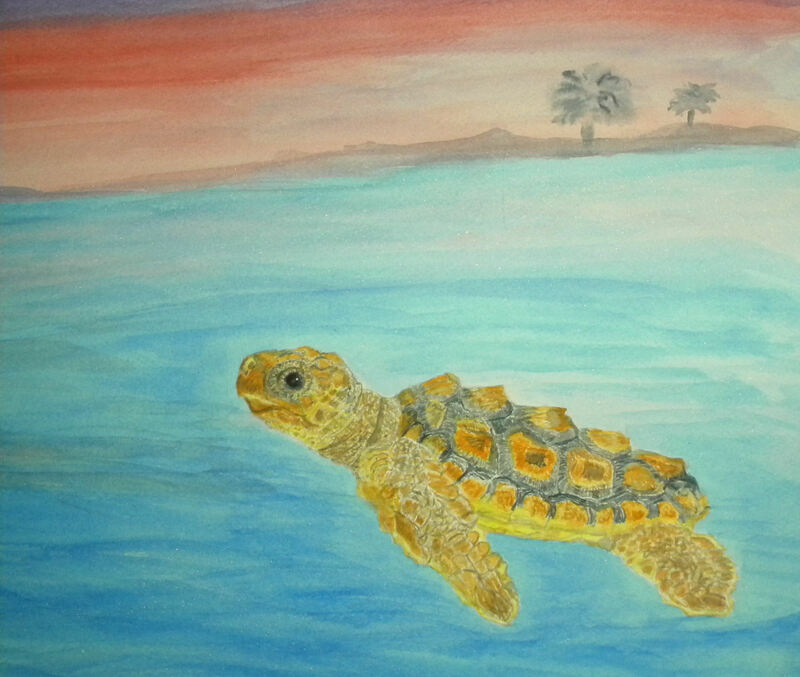 Here is my fourth painting in a series of seven sea turtle paintings. 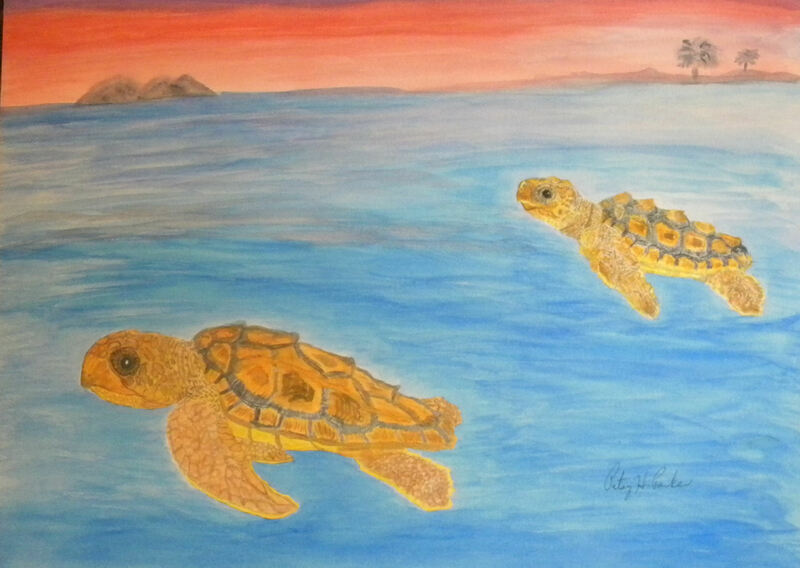 I am working on painting the seven different types of sea turtles. 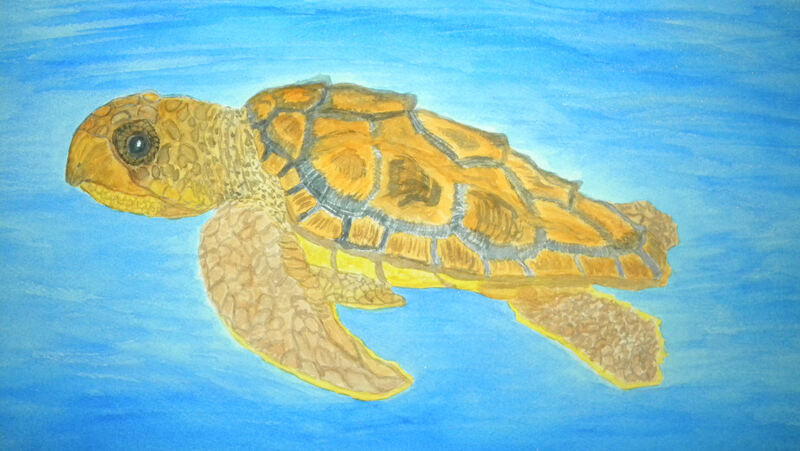 The three types of sea turtles I have left to do are: the Flatback, the Kemp’s Ridley, and the Olive Ridley. Yesterday I finally finished a painting I started about a week ago. Posted on July 29, 2014, in Sea turtles and tagged Loggerhead Sea Turtle Hatchlings, Sea turtles. Bookmark the permalink. 11 Comments. Their eyes looks so real! Thank you, Jill. That’s usually the hardest part to do for me, because I think expression is usually shown through the eyes on most creatures.